Students traveled to various parts of the United States for Thanksgiving break. Thanksgiving is a holiday where people tend to spend time with their relatives and friends to give thanks and rejoice in the blessings they have been granted during the year. Together, they make an enjoyable dinner that typically includes turkey, pies and mashed potatoes. Many of the students traveled to different parts of the country to reunite with their families and close friends as they sought to spend an amazing five-day break alongside them. 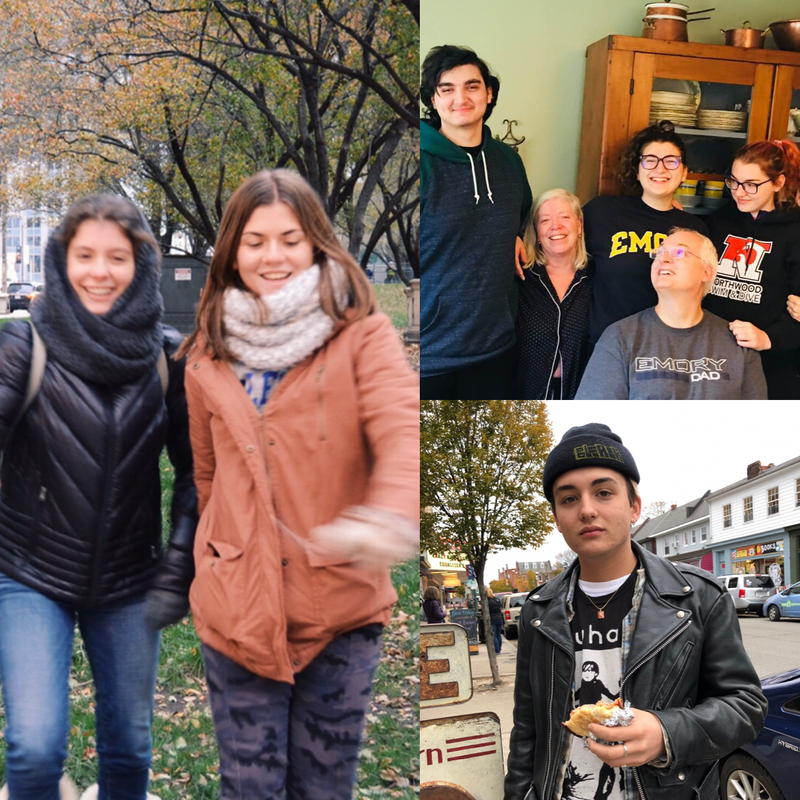 Freshman Rachel Dopico traveled to Connecticut and New York alongside her parents, sister, uncle and grandmother for Thanksgiving break. Dopico was not only looking forward to seeing her aunt and cousins but also the drastic change in temperature. During Thanksgiving, her parents, aunt and uncle cooked their dinner for the evening. For the rest of the break, Dopico spent her time alongside her cousins, who she is very fond of. They helped cook other meals and snacks throughout the break and played several games of pool, amongst other activities. At one point of the trip, Dopico went to see “My Fair Lady,” a Broadway play. Being able to enjoy a memorable time with her family and have the opportunity to watch the Broadway muscial were the highlights of her trip upstate. Mathilde enjoying her trip at the Sky Deck in Chicago. Sophomore Mathilde Requier traveled to Chicago. She was mostly looking forward to the cold climate and getting to spend time with her best friend. “I was hoping that it would snow but it did not which is fine,” Requier said. For Thanksgiving, they stayed in the hotel due to the weather and ate at the buffet. 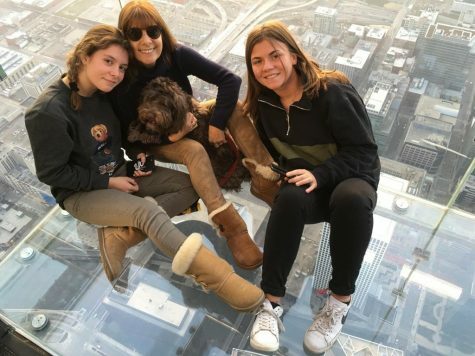 While in Chicago, she was able to visit the Chicago Bean, the Sky Deck and the Chicago Institute of Art. Her favorite moment was being able to see famous art pieces at the Chicago Institute of Art. Requier learned to appreciate art for the value and meaning they have while spending precious time with the people she loves most. Having the time to learn more about art has allowed Requier to come back with a new perspective on the appreciation of art. Elise along with her family and friends in Connecticut. 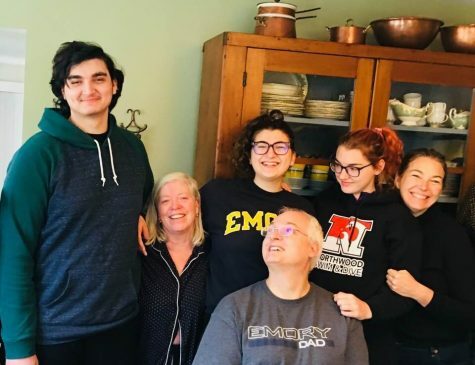 Junior Elise Clements traveled to Chester, Connecticut with her parents and siblings to visit close family friends. The story behind these particular family friends is they were the ones who introduced Clements’s parents. Thanksgiving was spent with her immediate and close family friends as they enjoyed a variety of pies together. She enjoyed spending time with her siblings that are in college and she does not get to see often. During her visit, she went on a college tour in a neighboring town, as next year she will be starting the college application process. Since the weather was very cold and at times not enjoyable for one to be outside, they went to the movie theater very often to pass the time. “My favorite part was the morning after where we all sat around a fire and ate leftovers,” junior Elise Clements said. Senior Alex Yelamos on his trip to Virginia. 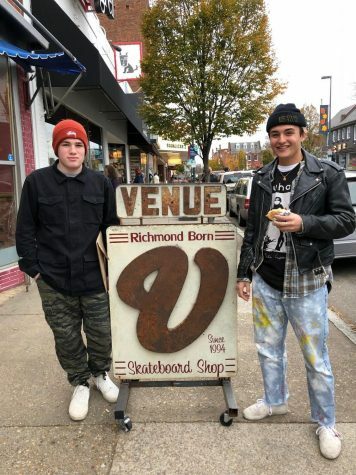 Alex Yelamos went to Williamsburg and Richmond in Virginia with his parents to visit his aunt and uncle. On Thanksgiving day, they sat around the house waiting for the food as Yelamos knew he was in for a treat. “My favorite moment was obviously eating Thanksgiving dinner,” senior Alex Yelamos said. He looked forward to seeing his cousins and getting to spend time with them as he does not see them very often. During the trip, Yelamos visited Byrd Theater and the Hollywood Cemetery in Richmond. Yelamos was able to spend time with family he had not had the chance to see in a while, without the added stress about school or the college application process. Another senior, Oliver Canosa went to New Orleans, Louisiana with his parents over the Thanksgiving break. For the holiday, Canosa and his family went aboard a steamboat and loved the view as they ate their meal together. For Canosa, this trip would serve as a chance to visit his beloved family and the Tulane University, where he will be enrolling come fall of 2019. While there, he rode on cable cars and visited the French Quarter, as a true tourist must. Canosa also went to Bourbon Street and Audubon Park where he saw red pandas, a truly captivating sight. Having the opportunity to take a break from school was beneficial for these students as it gave them time to visit relatives they do not often see. But most importantly, it gave them the chance to spend a holiday surrounded by family and love. They shared laughs and happiness, forming new memories that the students can look back on and cherish, even on their most stressful days. Without the worry of school or assignments on their minds, they were carefree and able to openly enjoy their holiday break to the fullest extent.